The Pritzker Institute supports research fellowships for doctoral study in biomedical sciences and engineering. Pritzker Fellowships in Biomedical Sciences and Engineering are available to United States citizens or permanent residents. Each recipient receives a full-tuition stipend of $30,000 plus $2,000 for research or travel expenses. Fellows pursue doctoral research with a Pritzker mentor and are fully supported for up to four years. Applicants must have at least a 3.5 GPA; no work experience is needed. I graduated with a B.S. in bioengineering from the University of Maine at Orono in 2015. As an undergraduate, I participated in research focusing on gold nanoparticle stars for the field of medical imaging. I was awarded the Pritzker Fellowship in 2017 and, I began my PhD in biomedical engineering, as well as, research in Dr. David Mogul’s lab. My research focuses on the brain activity that occurs during epileptic seizures in an effort to extinguish seizures without the use of pharmacological agents. I use a mathematical analysis to model multisite electrical stimulation of the epileptic brain in order to disrupt the feedback loop occurring during seizure activity in epileptic rats. My name is Gina Qualter and, I grew up on the Southside of Chicago. When I started my undergraduate career at the Illinois Institute of Technology, I began as a premedical student. However, I became involved with laboratory work in the biology department, my freshman year, and, developed a passion for research. I decided to continue pursuing this passion by applying for the co-terminal program where I earned my M.S. in Cell and Molecular Biology. My undergraduate and, thesis projects, both, revolved around improving tissue engineering for increased cell viability and, I presented my work at the Chicago Area Research Symposium. I was also asked to join the lab of Dr. Mahima Saxena in the I/O Psychology department where I assisted in data entry, research, and analysis. I am currently listed on a pending publication with her. Outside of research, I have been actively involved in IIT’s Student Government Association, Student Gift, Greek Life, athletics and, volunteering. I am very excited to be continuing my education at IIT under the mentorship of Dr. Brey. Rachel Brandt earned a B.S. in biomedical engineering from the University of Texas at San Antonio in 2016. As an undergraduate student she participated in a research program at MD Anderson Cancer Center focusing on triple negative breast cancers. After graduation she began Ph.D. studies at Illinois Tech in August 2016, when she was also awarded the Pritzker Fellowship. 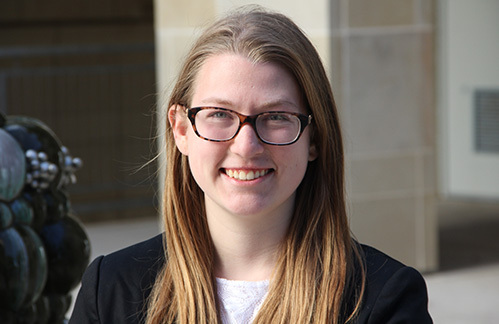 She is currently a graduate research assistant in Ali Cinar’s lab, working on characterizing how sleep effects blood glucose levels to aid in the development of a multivariable closed loop artificial pancreas. Nicole Frantz graduated with a B.S. in biomedical engineering from Illinois Tech in 2016. At the end of her first year of undergraduate studies, she began volunteering in Ali Cinar’s lab. When she was awarded the Pritzker Fellowship in May 2016, she chose to continue her research with Cinar. Her Ph.D. research is focused on the development of an artificial pancreas that can accommodate the effects of different forms of physical activity automatically for people with Type 1 diabetes. Her key focus is on the development of algorithms capable of classifying the forms of physical activity and their intensity as well as predicting their effects on glucose decline specific to each individual. Henry M. Gong received his B.S. in molecular and cellular biology from the University of Illinois at Urbana–Champaign in 2014. He took a year off to work as a microbiologist before deciding to pursue higher degree. He was admitted to Illinois Tech as an M.S. student in fall 2015 and transferred to the Ph.D. program studying under Thomas Irving in spring 2016. He is currently working on a project to understand the physiology, proteotomic, transcriptomic, and genomic of three different organisms. These three organisms are Manduca Sexta (moth), Pachidyplax Longipennis (dragonfly), and Perithemis tenera (dragonfly). The data will be compared between the moth and the dragonflies. The end goal of this project is to find out the structural and biochemical adaptations that drive striated muscles to be either synchronous or asynchronous. Robert David Jackson earned a B.S. in chemical engineering from Massachusetts Institute of Technology in 2015. He was born and raised in Chicago, and wanting to return home, he began his Ph.D. studies at Illinois Tech in January 2016. He was awarded the Pritzker Fellowship near the end of his first semester as a Ph.D. student. 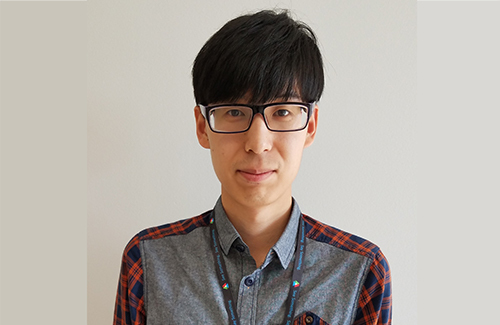 He is currently working on agent-based modeling of Chinese hamster ovary cells in a bioreactor. He is an applicant for the 2017 NSF Fellowship. Jackson presented a poster at the 2016 National Institute for Pharmaceutical Technology and Education Conference at the FDA Building in Silver Spring, Maryland. 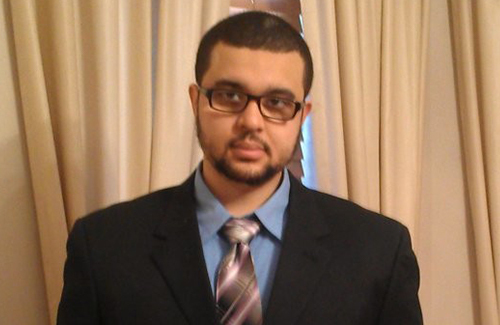 He is vice president of the NSBE–Illinois Tech Chapter and founder of the Bio-Engineering Journal Club. 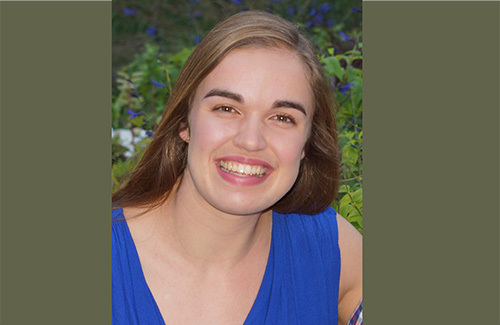 As an undergraduate student in the molecular biochemistry and biophysics program at Illinois Tech, Amy Rice participated in a broad range of research experiences in both traditional biology and physics applications—from fruit fly coagulation to photocathode design. After receiving her B.S. 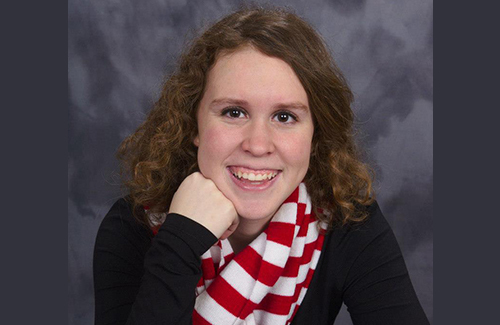 in 2014, she realized that the intersection of biology and physics was of greatest interest to her; she found her research passion as a Ph.D. student in Jeff Wereszczynski’s Computational Biophysics lab at Illinois Tech. She uses molecular dynamics simulations to study the interactions of pharmaceutical drugs and small molecules with model bacterial cell membranes. 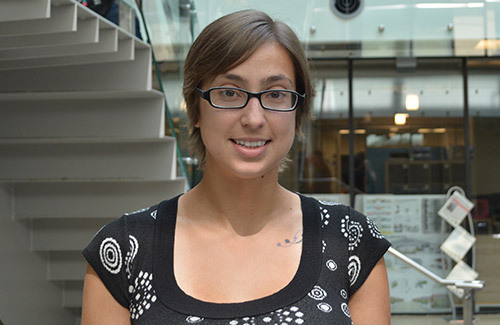 Joining Wereszczynski’s lab in 2014 and receiving the Pritzker Research Fellowship in 2015 have helped cultivate her abilities as a researcher. She won the annual College of Science research poster presentation contest two years in a row, presented her research at the 2016 Biophysical Society Annual Meeting, and authored two research articles that are being prepared for publication. Veronica Torres completed her undergraduate studies in biomedical engineering with a specialization in neural engineering at Illinois Tech. During that time she participated in the Program for Undergraduate Research Education, in which she worked on a project under the mentorship of Kenneth Tichauer at the Medical Imaging Research Center with the goal of improving neurosurgical guidance techniques for gliomas with fluorescence imaging. This work was conducted along with Richard Byrne, M.D., head of neurosurgery at Rush University Medical Center. Because of this collaboration, she realized exactly how impactful the development of new medical technologies and practices could be. 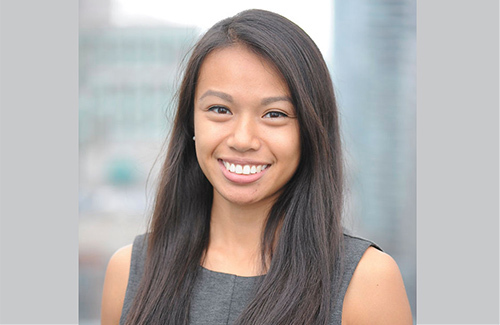 Motivated by the clinical potential for fluorescence image-guided surgery in the brain, she decided to further her education through graduate studies. 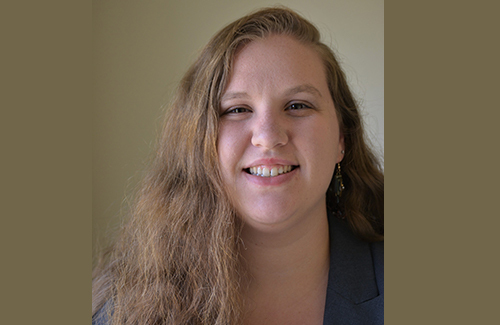 With the Pritzker Institute Fellowship, she was able to continue at Illinois Tech. At Illinois Tech her research is focused on fluorescently highlighting cranial nerves to prevent unnecessary errors and complications during neurosurgery.